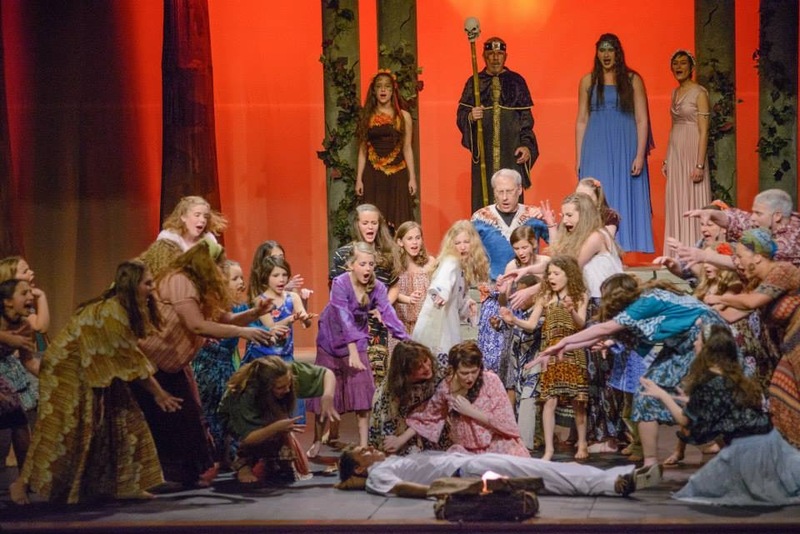 Why does Midcoast Youth Theater produce 2 multi-age shows every year? The multi-age shows add value to our overall mission because developing communication skills and team-work across different age-groups supports youth development. It is not uncommon to see adults and older teens coloring in coloring books with the youngest members back stage or holding group sing-alongs during intermission. These shows also bring family members together. While some of the adults in a multi-generational show may have years of theater experience, others are new to it, joining just because doing theater with their children is fun and builds closeness.